What Makes Customer Experience Unforgettable? It is a well-known fact that Japan provides excellent customer experiences. If you have been there before, you would have impressed by the courtesy of the service staff and the zealous hospitality they show to customers. Despite having lived in Japan for a year and made numerous trips to the country, there is always something that surprises me every time I visit. During my most recent trip to Tokyo this year, I was surprised by a waiter’s good service at a restaurant that went far beyond my expectation. 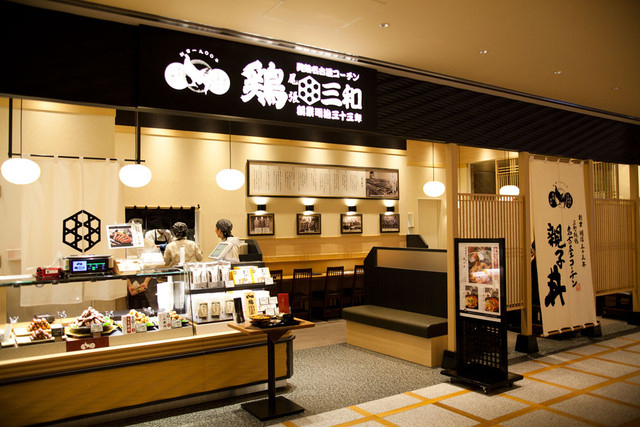 In Japan, there is usually a food street/floor at the basement of every department store where you can find delicious small snacks or delicate food items for souvenirs. One evening, my husband and I had some time to kill before our dinner with a friend so we roamed around food street. We walked around many of the restaurants and eateries, fascinated and drooling over the wide selection of local dishes and delicacies that are exquisitely presented in the display windows. 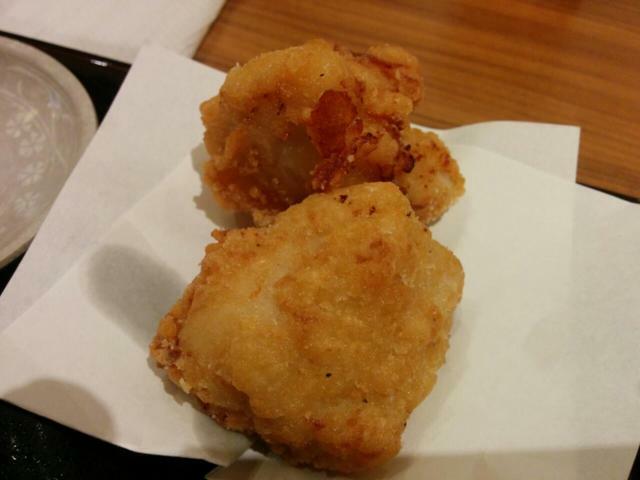 It was not too long before the karaage (or freshly fried chicken) of a popular karaage restaurant caught our eye. We decided to buy two pieces of karaage and 2 yakitori (BBQ chicken stick) to just satisfy our taste buds. We initially asked for take-away so that we can continue to shop around. However after realizing that it is not common practice for Japanese to eat while walking/shopping, we changed our mind and asked the waiter if we could dine-in instead. “Would you like us to warm up your food?” the waiter asked with a big smile on the face, after leading us to a seat in the restaurant. “Oh, it’s ok. We will just eat it from the plastic bag”, I replied with my rusty Japanese, thinking that we didn’t want to trouble the staff too much. “It’s okay! We will help you warm it up as it will taste better!” the waiter insisted with and enthusiastically brought the food to kitchen. My husband and I look at each other and thought, “Wow, that was totally unexpected!” because we merely ordered 2 pieces of chicken and 2 yakitori. But a few minutes later, the waiter walked toward us smiling with the food freshly heated-up and he even brought 2 glasses of water to serve us. After the pleasant encounter, I was pondering why the waiter made the choice of taking an extra step to heat up the food and to ensure that we tasted the chicken at its best temperature? Also in many stores or shops, I noticed that the sales assistant at the cashier would walk around the counter to hand over my purchased item instead of passing the item to me over the counter. Likewise, the sales assistant also would hand me the change of coins first, wait until I have put away my coins before handing the dollar bills to me. Why do they take that extra steps and efforts to value- add in their customers’ shopping experience? The answer is simple. It is simply a conscious choice that ones makes to provide a pleasant experience for customers. It is a commitment and a belief in wanting to make a difference to customers, ensuring that they walk away feeling satisfied. It is a sense of pride that one takes in delivering good service and seeing the smile of a customer’s face. How do we instill and develop this mindset and culture in our work environment – this personal accountability of making sure our customers walk away with a good if not unforgettable experience. How do we make it a habit to ask ourselves, “What can I do to make a difference” or “what can I do to provide more value” when delivering products to customers? There could be a few answers to that, but I think John Miller’s QBQ: through asking better questions, making better choices and practicing personal accountability with a Kaizen (continuous improvement) mindset will bring us to our desired state gradually. Will I go back to that restaurant again in my next visit? I think the answer is obvious. This entry was posted in Titansoft Culture and tagged Kaizen, Office Culture, Personal Accountability on July 21, 2015 by Jas.